The World Health Organization, WHO, has given countries hit by Ebola outbreak the go-ahead to use the blood of Ebola survivors in combating the highly infectious and deadly virus. There is no cure for Ebola, and the virus has killed more than 2,000 people in the latest outbreak in Guinea, Liberia, Sierra Leone and Nigeria. Hundreds have also recovered from the virus. Medical experts say survivors develop antibodies of the virus in their blood, capable of providing a fair degree of immunity from further infection. Vaccines for the virus could be available for use on the frontline by November, the world health body said. But as the world’s seeks desperate ways of containing the spread, WHO said Friday that the affected countries should use the blood of patients who recover from the Ebola Virus Disease, EVD, in treating other patients. There are no data on the effectiveness of this therapy. However, studies on the 1995 outbreak of the virus in Democratic Republic of Congo showed seven out of eight people survived after being given this therapy. As at Friday, 2,105 lives have been claimed by the virus in West Africa, with Liberia in the lead (1,089) followed by Guinea (517), Sierra Leone (491), and Nigeria which has recorded eight deaths. In Nigeria, health care workers have been adversely affected. Five of the eight deaths recorded in the country were medical personnel. Three were medical doctors and two nurses. There is still no clinically proven drug or vaccine to stop the virus as many are still in experimental stage. Experimental drugs such as ZMapp, which has been used in seven patients including a British volunteer nurse who recovered this week, have been assessed. However, the supply of the experimental drug is very limited. But the WHO said efforts were underway to increase production, but that it would take several months. The BBC news reports about 150 experts have spent the last two days investigating how to fast-track promising experimental drugs to make them available in West Africa as soon as possible. Ebola vaccine trials started in the US this week and will be extended to centres in the UK, Mali and Gambia in the coming weeks. 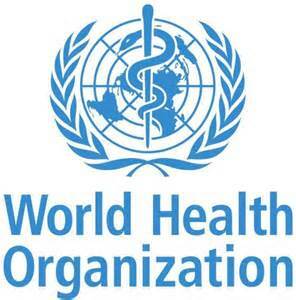 Healthcare workers and other frontline staff would however be at the top of the priority list for vaccination, the WHO said. Dr. Marie Paule Kieny, an assistant director general at WHO, as reported by BBC News, said: “We agreed that whole blood therapies may be used to treat Ebola virus and all efforts must be invested to help infected countries to use them. “There is a real opportunity that a blood-derived product can be used now and this can be very effective in terms of treating patients.” She said that it was the one positive aspect of so many people being infected. “There are also many people now who have survived and are doing well. They can provide blood to treat the other people who are sick.” The WHO warned that all talks of experimental therapies must not detract from the proven methods of infection control which have defeated all previous outbreaks.